The New York Times bestselling author of The Martian dropped by to chat with me about his writing process and the upcoming movie adaptation of his hit book directed by Ridley Scott and starring Matt Damon (release date October 2nd, 2015). 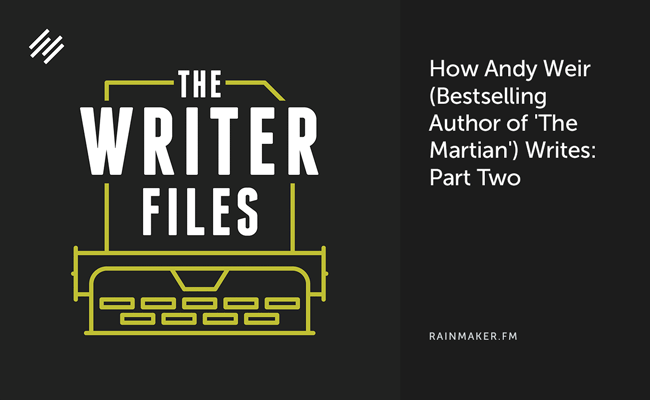 The New York Times bestselling author of The Martian dropped by to chat with me about his writing process and the upcoming movie adaptation of his hit book, directed by Ridley Scott and starring Matt Damon (release date October 2nd, 2015). 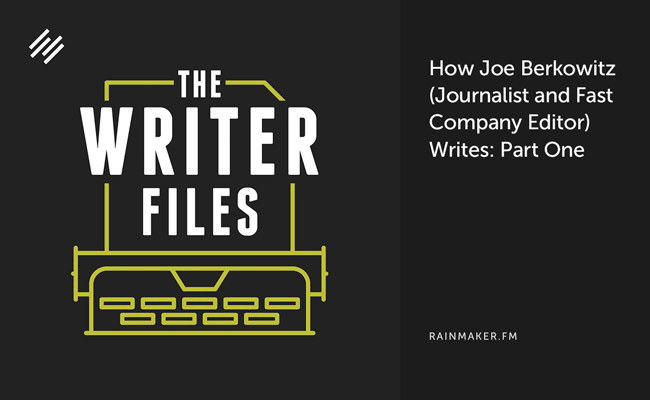 Welcome to The Writer Files, a tour of the habits, habitats, and brains of renowned writers — from online content creators, to fictionists, journalists, entrepreneurs, and beyond. Great writing is more vital and in demand than it’s ever been.